2005. Edited by Constance McCabe. 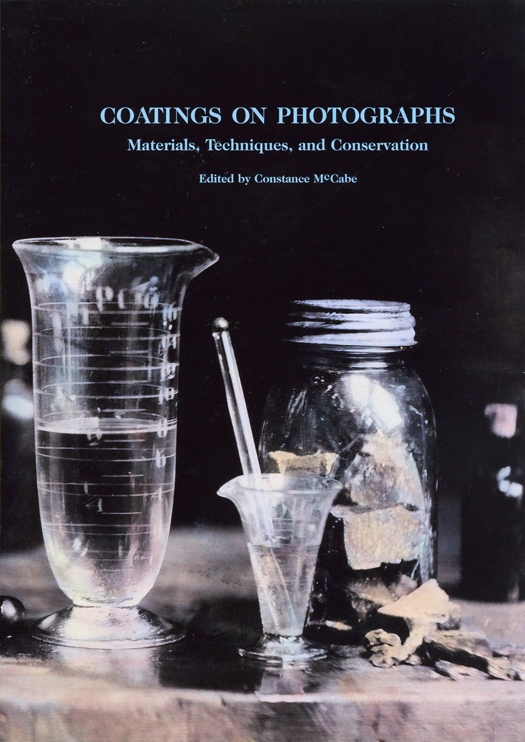 Full color, hardcover publication with 25 chapters on the topic of coatings on photographs from the 19th century to the present. 384pp. Coatings on Photographs: Materials, Techniques, and Conservation, edited by Constance McCabe, is published by the Photographic Materials Group of the American Institute for Conservation of Historic and Artistic Works (AIC), and was made possible by the generous support of the Andrew W. Mellon Foundation, the Samuel H. Kress Foundation, and the National Gallery of Art. Topics include Conservation and Analysis, Materials and Practice, and Case Studies. Foreword by Roger Taylor, Professor of Photographic History, De Montfort University, Leicester, England. The book includes sections on Conservation and Analysis, Materials and Practice, and Case Studies.